Susan Cain is the bestselling author of Quiet: The Power of Introverts in a World That Can’t Stop Talking, which claims that our culture holds a bias toward the “extrovert ideal” and dramatically undervalues the talents of introverts — in business, the classroom and beyond. Cain is a Princeton and Harvard Law School-educated corporate lawyer, negotiations consultant and author. Michaëlle Jean served as Canada’s Governor General from 2005 to 2010. 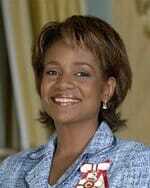 She immigrated to Canada from Haiti with her family in 1968 and studied at the University of Montreal. After working for 10 years with Quebec shelters for battered women, Jean forged a successful career in journalism, becoming a highly regarded reporter and anchor with Radio-Canada and CBC Newsworld. Since her time as Governor General, Jean has served as UNESCO Special Envoy for Haiti and worked on behalf of disadvantaged youth through the Michaëlle Jean Foundation. 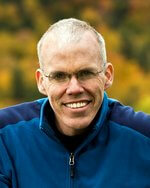 Bill McKibben is the author of a dozen books about the environment and the first author to publish a book on climate change for a general audience. He is a founder of the grassroots climate campaign 350.org which has coordinated 15,000 rallies in 189 countries since 2009. One of the most important environmentalists in the United States, McKibben is the Schumann Distinguished Scholar at Middlebury College.